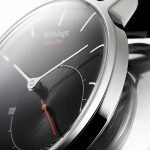 Wow….. It’s great news for watch lover people.The Withings Activity Sapphire is a Swiss Made watch designed in France that combines time and activity and sleep tracker. 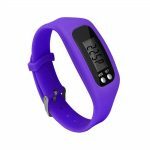 Activity automatically tracks your activity 7/24 whether you are walking, running, swimming, or sleeping. 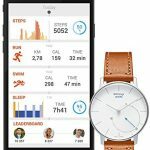 The watch also automatically syncs with your data using Bluetooth, It’s allowing you to visualize your Aptitude and receive real time coaching with the free App Health Mate on your Android or iOS device. 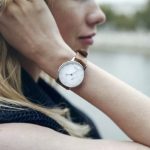 A truly stylish and unique tool to inspire and reflect a healthy life style. 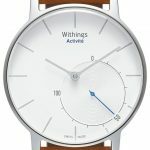 The Withings Activity Sapphire At any point, glance down at the tracker sub-dial for an update on your daily progress and completed your percentage and activity goal. Its Activity automatically detects whether you are running, walking, swimming, or Tracks Your Sleeping accordingly. By Using Bluetooth It will measuring your all data including How many steps you take, walking distance, run distance, Calculates calories burned, and sleep length and quality will automatically upload to the free Health Mate app on your Android or iOS device. 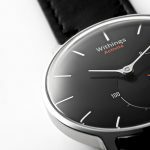 The Withings Activity Sapphire automatically detects sleep patterns including deep and light sleep cycles, sleep interruptions, and the total duration of sleep. 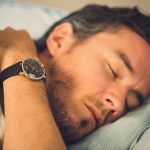 Set a silent alarm in the Health Mate app to start your day with a gentle wake-up vibration. The Health Mate app generates personalized suggestions you easy to changes encourage and movement, It’s allows you to compete with friends. The app features Activity Badges, a Leader board, Healthy Reminders and Activity Insights to keep you motivated and moving. 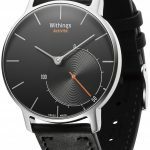 It is Charge Free, no need to Charge with a cable or dock, The Withings Activity Sapphire works on a standard button cell CR2025, to provide up to eight months battery life. Why this is an special? 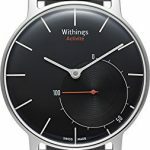 The Withings Activity Sapphire Product is unique combination of a fine Swiss-made watch and cutting-edge technology that delivers a complete solution: automatic tracking and a great experience so you can focus on health. What are best part of startup experience? 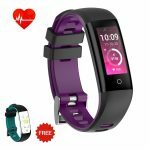 Health revolution and empowering customers participating in the Connected to take control over their own health and wellness with our beautiful devices and apps. 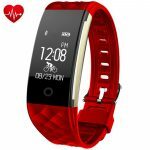 This is the most successful smart watch that I use, this is smart and stander watch that include fitness trackers activities, actually in say a word this watch is perfect for stylist, and I’m so happy with its performance. As a matter of first importance, I've been utilizing Fitbit and jawbone for the most recent few years for steps/remove/rest following. I got the chance to state these Witlings is exactly what I require as far as precision, looks, and usefulness. One of the key components for me is battery life. 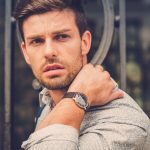 I dropped Fitbit (I utilized Fitbit charge hrs.) 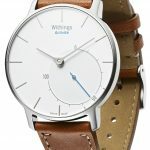 is on account of its ghastly battery life which keeps going 4-5 days at first and following 4 or 5 months of utilization it just ensures two or three days (I'm the sort of individual that dependably strolls around with low battery in telephone, in the event that I can scarcely recollect to charge my telephone envision the wellness band). Jawbone was more reliable with battery life yet it gave me a rash on the skin and I needed to continually transform it of wrist until I at last drop it. I chose to search for a wellness tracker with long battery life and decent form (i loathe when individuals ask me "hello what's that on your wrist" and need to clarify it's a wellness tracker yakking yak). 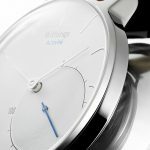 So as you can picture this watch it’s ideal for me. This is nice tracker. Its material is beautiful. There has no effect on my skin. I can use its music system. I always use its incoming, alarm and steps counts function those are necessary.